Tic Tac Trance #032 Replay available! 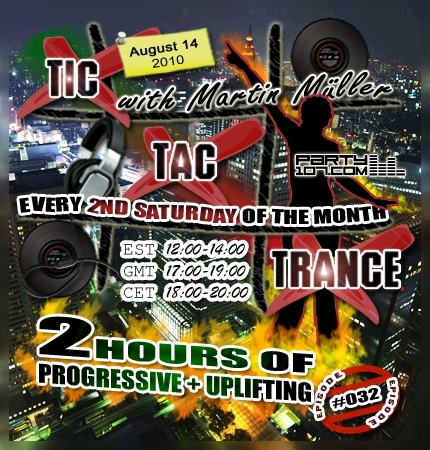 The brand new episode #032 of Tic Tac Trance will air on August 14 @ Party107.com! This special 2 hours mix will feature my current favorite progressive & uplifting tunes. This time you won’t get a sneak preview of artists or labels, but I can tell you there will be also some mashups and edits by my own included, so make sure you’ll tune in!